"Why Your Feet Hurt: A User's Guide to Foot and Ankle Health." 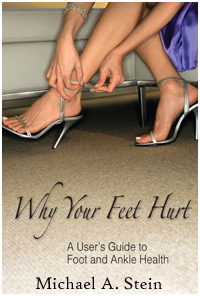 "I wrote this book because too many people suffer unnecessarily from foot and ankle pain." Your feet are designed to be enjoyed for a lifetime, and proper foot care is key to loving every step of your life journey. Whether you are concerned about your children’s feet, or you are experiencing your own discomfort, Foot Doctor of the East Bay has the answers. Don’t waste precious time running from office to office, from diagnosis through treatment, we have everything you need to end foot and ankle pain. Our staff of experts consists of highly trained podiatrists, Dr. Michael Stein and Zeindelin Ahmad, DPM, medical assistants, and nurses who focus on thorough treatment. We spend time with our patients listening, asking questions, and diagnosing the source of your pain. With multiple staff members involved in your care, you can rest assured that your feet and ankles are our top priority. High-quality care is enhanced by state-of-the-art technology—you’ll find both at our three locations. We pride ourselves in having the best technology, including laser therapy for fungal nails and the MLS Laser for pain relief. Daily activities can be hindered by common foot and ankle conditions. We understand that you don’t have time to slow down due to discomfort, so we focus on effective, conservative treatments that will get you back on your feet fast! Understanding the source of your pain is a top priority for the resolution of your symptoms. Many people dread the process, but diagnostic testing doesn’t have to require extra stops. We have X-ray, MRI, and gait analysis technology in-house. Not only that, but we keep our treatment in-house too. Looking for custom orthotics? Casting is the first step and available here. We are proud to offer expert foot care made easy—it’s our pledge to you. 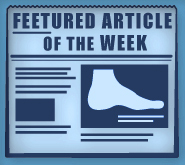 In the last five years, over 5,000 patients have found relief from embarrassing toenail fungus through laser therapy. We have multiple Genesis Plus Cutera lasers, and the expertise to effectively resolve this stubborn condition. If you’re tired of hiding your toes, join the thousands of Foot Doctor of the East Bay patients who are enjoying the freedom of healthy feet. Diabetes can devastate the feet, so diabetic wound care is critical. We offer weekly check-ups, supplies, prescription shoes, and medical pedicures. Take a proactive step toward healthy diabetic feet today, and schedule your next appointment with us! Three area locations make expert foot care convenient for all ages. From kids to those who are kids at heart, patients can visit us at our San Leandro, Pleasanton, or Los Gatos, CA locations. Dr. Michael Stein and Zeineldin Ahmad, DPM, look forward to serving you. Call today to schedule an appointment with our foot care experts at Foot Doctor of the East Bay. Dial (510) 483-3390 in San Leandro, (925) 425-9684 in Pleasanton, and (408) 356-6767 in Los Gatos. You can also request an appointment online. Take care of your feet now for a lifetime of pain-free adventures!